Is nature of equal importance to all people?, asks Antje Damm and places the photograph of three children in India right next to this question. To her, nature is of such great significance that she raises more than 60 questions which can be the basis for a long and deep conversation with children: Do plants have rights? What would it be like to always live in the wilderness? What can we learn from nature? Which question would you like to ask an animal? 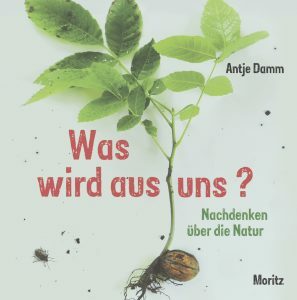 Just like her previous question books, Antje Damm once again illustrates the subject-matter primarily with her own photographs and illustrations and in so doing creates an easy approach to often philosophical questions.